​The Cook N Home Clear FDA food grade tubing, 10 foot length has a 5/16-inch inside diameter, 7/16-inch outside diameter, and a 10 foot length. Made of PVC that is is food grade vinyl tubing, FDA approved, nontoxic, and chemical resistant. For use in beer/wine brewing, siphoning, draining, aquaponics, water/oil change, etc. 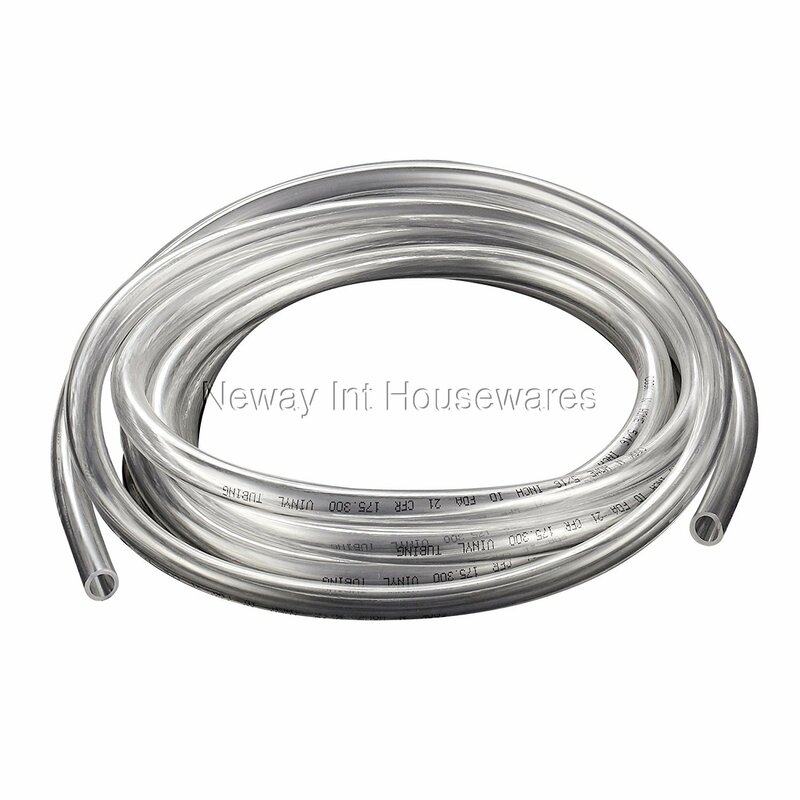 The flexible and cuttable tubing protects and insulates while reducing buildup and kinks. Not for high pressure carbonation use. 25 to 125F temperature range and thick and Clear to see inside. For use in beer/wine brewing, siphoning, draining, aquaponics, water/oil change, etc.